Not long after the Alibaba IPO, eBay announced that it aims to spin off PayPal as a separately traded company. The rumors of PayPal as an acquisition target are already looming, and one of the contenders is Jack Ma’s Alipay, now called Ant Financial. A deeper insight into Alipay is interesting in light of the potential changes similar players like Apple, Amazon and PayPal pose for the financial services industry. Enough has been written on Alibaba to elaborate any further on the parent company other than restating that analysts describe the company as a combination of Amazon, eBay, Google and PayPal, but the potential jewel in the crown in the Alibaba-ecosystem is the payments- and financial services company Alipay. Alipay was separated from Alibaba in 2011 and established as a Chinese national company controlled by Jack Ma and other Alibaba executives. Since its inception in 2004, Alipay has shown a tremendous growth curve, aided by the transaction volume from Alibaba, Tabao and Tmall. Alipay currently has a user base of 300 million and controls half of the Chinese e-commerce market. Not long after receiving a private banking license on September 29, Alipay consolidated all financial services and rebranded as Ant Financial Group. 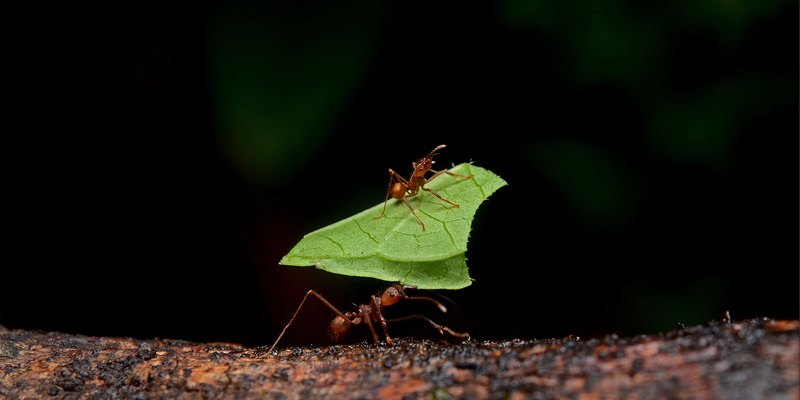 According to Alibaba executives, the name ‘Ant’ was chosen to symbolize the potential strength of a number ofsmaller brands working together. Ant Financial also plans to expand its overseas businesses, with the aim of providing the infrastructure for global e-commerce companies. What makes Ant Financial stand out from the majority of other technology-based challengers to the financial industry is the fact that Alipay has a much broader focus and a more aggressive approach where it approaches the core business in banking apart from other challengers that focus on payment solutions. Alipay was created as a payment solution for online shopping and has become the dominant player on the Chinese market with $519 billion processed in 2013, which accounts for more than double the value of goods sold through Alibaba. With transaction costs as low as 0.3 percent, Alipay has become an alluring choice for many online retailers apart from Alibaba, as well. Within traditional retail, Alipay Wallet has secured its position as the world’s most widely used mobile wallet with over 100 million users in 2013. To strengthen this position, Alipay Wallet recently entered a partnership with Huawei that will allow Alipay users to use fingerprint recognition to verify payments similar to Apple Pay in Huawei’s next smartphone. This collaboration will undoubtedly strengthen Alipay further in physical retail in both the Chinese and Asian markets. What sets Alipay apart from other contenders in the payments area is that Alibaba like Amazon has quietly established large lending portfolios to SMEs. This business was sold in its entirety from the parent company Alipay prior to the IPO to refine Alipay as a financial services company apart from the logistics focus of Alibaba. But what makes Alipay revolutionary is neither the payment solution nor its lending portfolio, but last year’s launch of Yuebao, a mobile deposit and investment platform. In just eight months Yuebao acquired deposits of over $90 billion through unbeatable conditions of almost double the returns compared to traditional Chinese banks. For incumbents, this represents a major threat, as Alipay creates an expectation of much higher yield than the banks are able to provide without compromising the interest margin and ultimately the profitability. The combination of this makes Ant Financial able to operate as a full-scale bank with deposits, investments, lending and payment platform. While we all are waiting for the next move from Apple, PayPal, Amazon and Square, Alipay is steamrolling the Asian payments ecosystem. With the IPO in mind, it is clear that China is not big enough for Jack Ma, and it is my belief that it is just a matter of time until Ant Financial becomes a challenger to both incumbents in the financial sector, as well as disruptive technology companies in the U.S. and European markets. Through the divestment of Alipay from its parent company without the consent from owners Yahoo and Softbank, and the sudden consolidation of services and rebrand, Ant Financial has shown a trend of letting its plans be dark and impenetrable as night, and when it moves, falls like a thunderbolt. With this in mind, the next move from Ant Financial is worth watching. After all, some claim that all warfare is based on deception.